This is the highest production ever recorded in a single month since Coal India's inception. A surpassing growth in coal production in March helped Coal India inch extremely close to its production target of 610 million tonne (mt) for the 2018-19 fiscal year after the coal monolith posted a seven per cent production growth in the 2018-19 fiscal year generating 606.9 million tonne (mt) of coal. Despatches, on the other hand stood at 580.3 mt registering an overall growth rate of 4.8 per cent. According to the company, the production growth is almost three-fold increase compared to 2017-18 fiscal year’s output growth of 2.4 per cent. 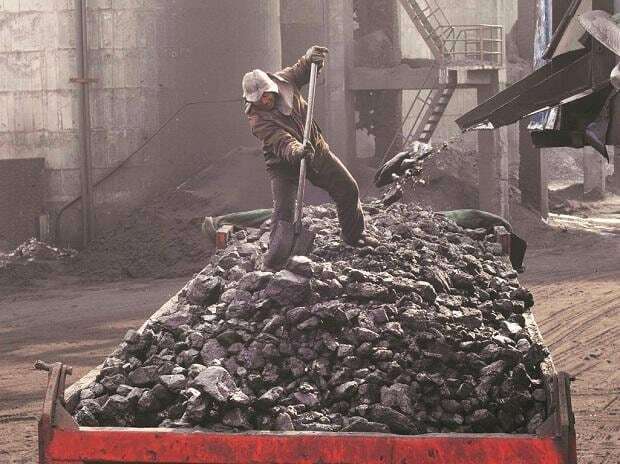 A company official said in the month of March, the coal behemoth produced 3.14 mt every day which helped in the company producing 79.19 mt in March itself. Incidentally, this is the highest production ever recorded in a single month since Coal India’s inception. While previously, it had taken Coal India seven years to increase its production level by 100 mt a year to breach 500 mt during 2016-17, the company was able to reach 600 mt levels of output in three-year’ time. In the last fiscal year, Northern Coalfields became the company’s third subsidiary to breach the 100 mt production mark after South-Eastern Coalfields (SECL) and Mahanadi Coalfields (MCL). On the other hand, SECL became Coal India’s first subsidiary to cruise over 150 mt production mark while Eastern Coalfields and Western Coalfields have become 50 mt companies each. Sources suggested that had MCL been able to perform to its fullest production capacity, the world’s largest coal miner would have been able to surpass its 610 mt production commitment to the coal ministry by a considerable margin. Labour indiscipline issues, forest land clearance, evacuation and protests from villagers in mining areas has been affected MCL’s production for the past few months. In turn, it had led MCL to post a 0.8 per cent production increase – the lowest among all bigger subsidiaries during the last fiscal year. Backed by improved rake loading, which grew by 11.2 per cent, the company’s despatches to the power sector climbed to touch 488 mt as against 454 mt supplied in the 2017-18 fiscal year which is a growth of 7.4 per cent. However, the percentage growth in rake loading for the power sector is higher than the average rake loading growth of 5.6 per cent during the 2018-19 fiscal year as Coal India, on an average loaded 280.7 rakes per day as against 265.8 rakes in the 2016-17 fiscal year. The company’s depleted pithead coal stocks situation of around 24 mt in the winter season also improved to around 54 mt towards the end of the fiscal year backed by increased stocks at the power plants as well which now has 30.41 mt or 18 days of coal stock.